A crazy encounter. A male jaguar watches a giant anteater drink. 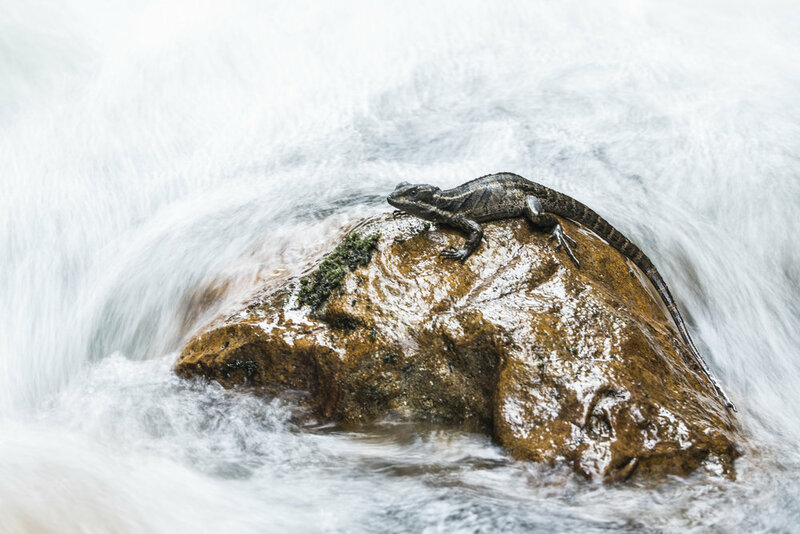 Basilisk lizards battle over territory. A European beaver heads out for the night. Holland. 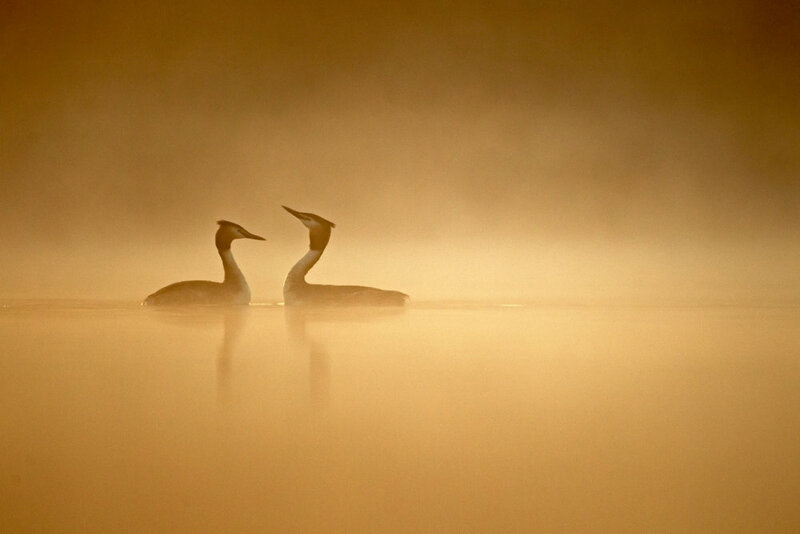 A Slavonian grebe on a forest pool in Finland. 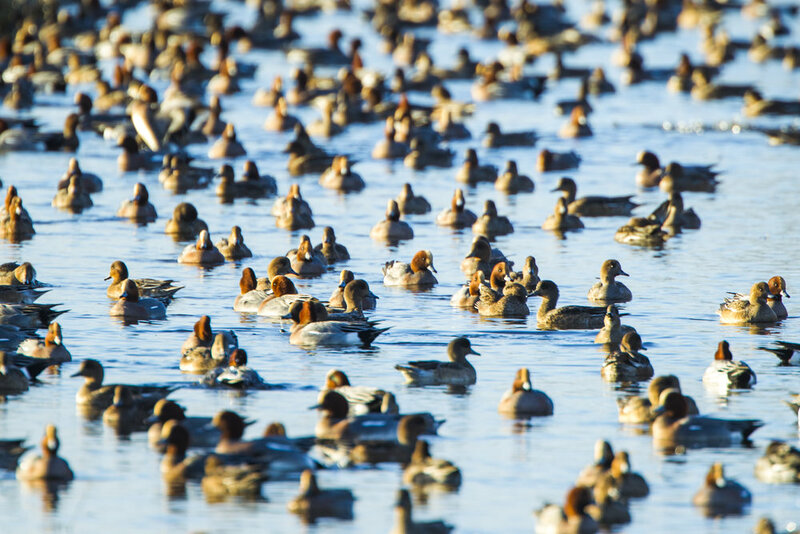 A huge flock of wintering wigeon in Norfolk. A bald faced ibis forages. A European river otter, Spain. A saltwater crocodile, Kakadu national park, Australia. 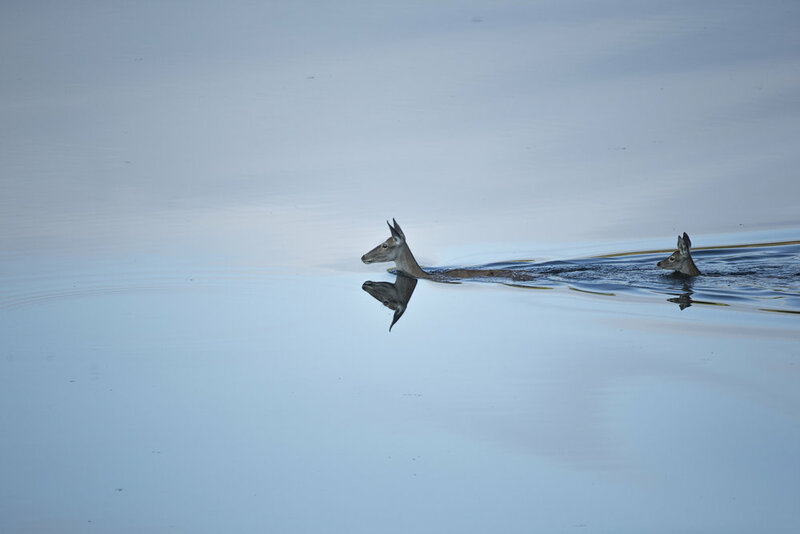 A red deer hind and her fawn swim across the Rio Jandula, Spain. A capybara enters the waters of the Rio Piquiri. A flock of Lilian's lovebirds, Zambia. WPY People's Choice finalist 2017. Butterflies 'puddle' in the Pantanal. A green sandpiper with a caddis fly larvae. Great dusky swifts roost behind the mighty Iguassu Falls, Brazil. A giant river otter in Yasuni Np, Ecuador. 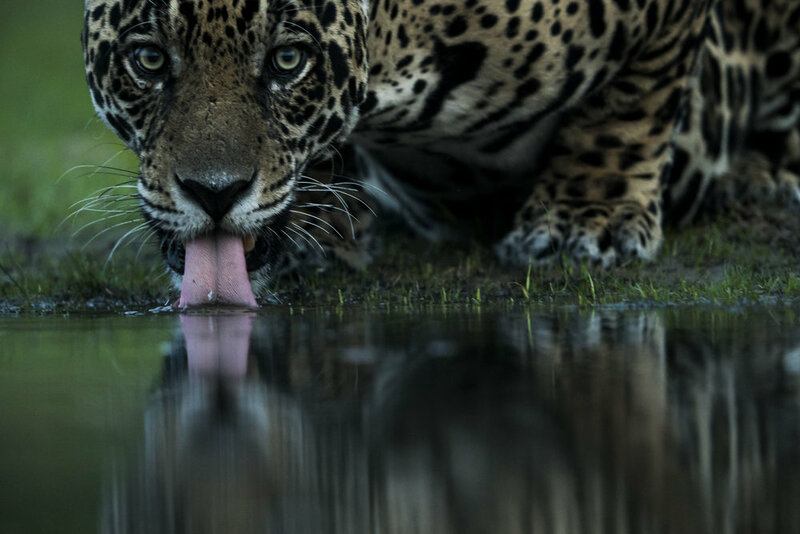 A jaguar drinks in the Pantanal. A giant kingfisher perches above the Luangwa river, Zambia. 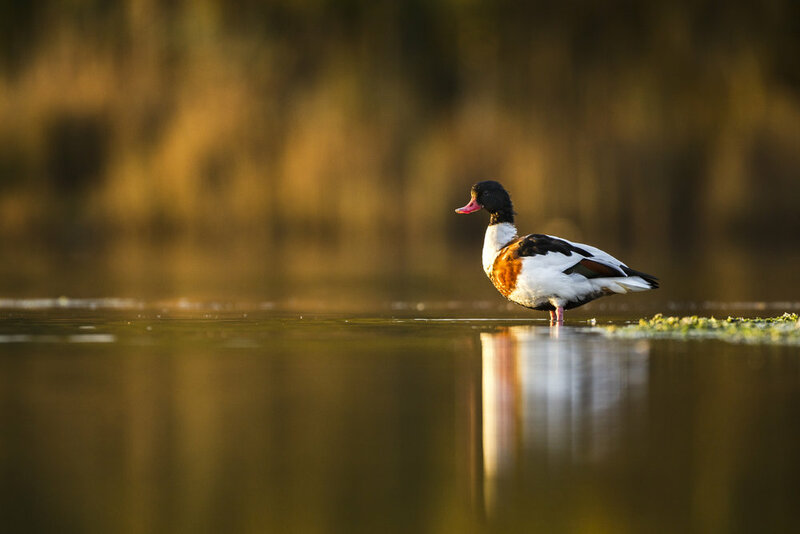 A shelduck in Poole harbour. A hippo emerges from the Luangwa river. 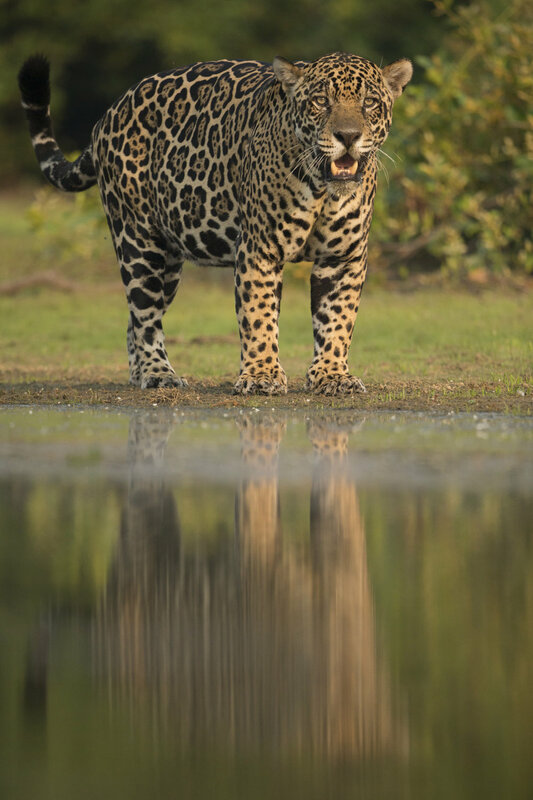 A jaguar in the Pantanal. A male garganey rests on a woodland lake. A Yacare Caiman in the Pantanal. A cocoi heron is harassed by a black collared hawk in Brazil. A smoky jungle frog in the Ecuadorian Amazon. A giant river otter eats a Golden Dorado. Storks fish together in the Pantanal. Fish shoal around a Yacare Caiman.